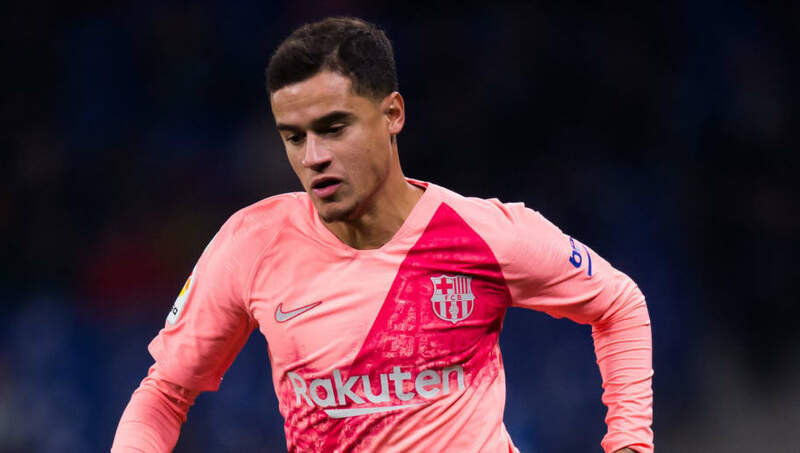 ​Barcelona winger Philippe Coutinho had claimed that an article from The Mirror which claimed to contain an interview with him is completely fictitious. ​The article featured direct quotes which were attributed to Coutinho, which discussed his immediate future. The Brazilian has been heavily linked with an exit from Camp Nou, but this interview claimed to show Coutinho stating his desire to remain with Barcelona. However, ​Sport report that Coutinho has now insisted that the interview never happened. The Brazilian claims that he didn't speak to The Mirror, whilst club officials have also insisted that such a meeting is completely false. They note that both ​Lionel Messi and ​Luis Suarez have previously been the subject of similar 'ghost interviews', claiming that the stories have all been invented simply to sell newspapers (or, given that it's 2019, garner web traffic). The interview alleged to have featured Coutinho specifically rejecting the idea of a return to the ​Premier League, ahead of ​Barcelona's ​Champions League quarter-final clash with ​Manchester United on Wednesday. The Red Devils are one of many teams to be keen on a summer deal for Coutinho, who has struggled greatly for form since arriving at the Camp Nou in January 2018. The 26-year-old has often been jeered by fans during matches as a result of his struggles, and his future remains a major talking point in both Spain and England. Chelsea have also been touted as potential suitors for Coutinho, whilst there is interest from Paris Saint-Germain as well, with the Ligue 1 side keen to reunite him with Brazil teammate ​Neymar. He has made 44 appearances in all competitions, 30 of which came as a starter, but he has managed just ten goals and five assists. He was expected to be the club's long-term replacement for Andres Iniesta, but made just a handful of appearances in midfield before being shifted out to the wing, where he has competed with the likes of Messi and ​Ousmane Dembele for minutes. However, after a string of frustrating showings, his future at the club seems far from certain, and it remains to be seen whether Barcelona will look to cash in on the winger this summer.